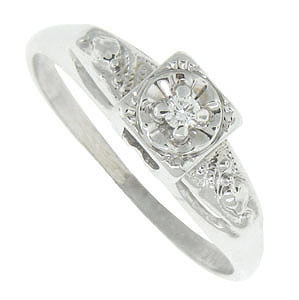 This lovely classic 14K white gold vintage engagement ring is set with a .03 carat diamond. Floral embellishments on the square face and rounded shoulders of the wedding ring add further interest to its delicate setting. Circa: 1930. 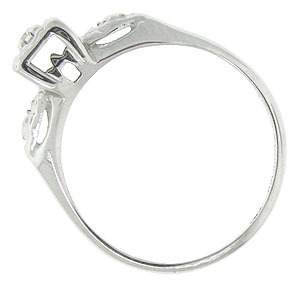 The ring measures 4.13 mm in width. Size 7.